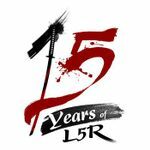 Legend of the Five Rings returns with its fourth edition of the award winning roleplaying game on the 15th Anniversary of L5R. Legend of the Five Rings Fourth Edition overhauls the classic Roll-and-Keep system, bringing the mechanical intricacy of 3rd with the rich flavor of 1st Edition. The rules for things such as dueling, spells, and court have been streamlined. The Great Clans have been brought back to their core identities, the Crab are the Crab, the Crane are the Crane, and everything that exemplifies them. Unlike previous editions, Fourth Edition is not tied to a particular timeline in the Emerald Empire. It is more of a toolset that can be used at any time period in the rich history of the game. This will allow GMs and players to tell their own story, whether it follows L5R canon or goes off on its own epic tale!